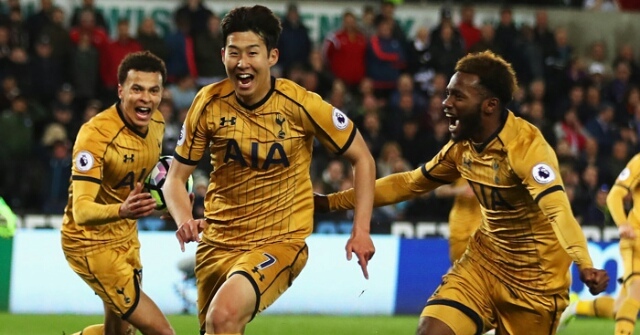 The Spurs came from behind to defeat Swansea 3-1 at the liberty Stadium to retain the seven points gap between the team and the league leaders Chelsea. Tottenham dominated most of the game but failed to make an impact on the score sheet most of the game and with just one attack from the host Tottenham fell behind just 11 minutes to the game, when Ayew with a powerful run muscled the Spurs defenders then squared to the former Spurs winger Wayne Routledge who finished it off. The Spurs got back into the game in the finishing minutes, Dele Alli equalized just two minutes to the end, Heung-Min Son added to the score two minutes later while Christian Eriksen crowned it all up with a wonderful curl past the Swansea Keeper. Swansea has had only one point I'm their last four games and this has brought them down to the Relegation Zone while their visitors will be happy to have maintained the seven points behind League leaders Chelsea. We are clearly very disappointed to get to 88 minutes leading 1-0 - we had a good chance at 1-0 as well. "We continued to defend well and limit them. The fact we conceded on 88 and then couldn't even draw is heartbreaking. "You still have to do all the things we had done. We were fatigued at the end but the lads gave everything and I am proud of them. We can't feel sorry for ourselves. We have two massive games now at West Ham and Watford." "We started the game very well and created some chances in the first few minutes. In that moment I think we feel the game is going to be easy. The perception from the touchline was that the players started to play at a low tempo. When we concede the goal we realise we need to push and increase our level. "How the goals arrived at the end was crazy but we pushed, we played better and we created chances to win. It is a good example of the team never giving up and trying to the end. Big credit to the players, they showed big character. "The most important thing is the badge. When you play for Tottenham it is not about the names it is about the team and the spirit. You would like to have all your players available but this season we are showing we are a team."